But Ruth replied, “Don’t urge me to leave you or to turn back from you. Where you go I will go, and where you stay I will stay. Do you ever think about what people teach you? Teachers teach you about math, science, english, reading, etc. Coaches teach you all about sports like soccer and basketball. Music teachers help you learn the piano, guitar, and how to sing. What I am really curious about is whether or not the regular people in our lives (like our family and friends) teach us things. I think they do. Whether they realize it or not. Ruth taught Naomi about loyalty and love. You can read about Ruth and Naomi here or watch this silly video here. Ruth said to her Mother-in-law Naomi “Don’t urge me to leave you or to turn back from you. Where you go I will go, and where you stay I will stay. Your people will be my people and your God my God.” Ruth stayed with Naomi and loved her and cared for her. Isn’t that amazing? Ruth was Naomi’s daughter-in-law and didn’t have to stay. I am thinking Naomi witnessed (a fancy churchy way of saying teaches through words and actions) the love of God through her willingness to stay with Naomi and take care of her. Ruth went into the fields and took up the stray grains that would feed them. Can you imagine someone caring for you so much they would go hunt for food for you? There are tons of little things we are taught everyday. There are the things we notice like how to tie shoes, ride bikes, play scrabble, and how to walk the dog. But there are also the things we don’t pay much attention to like how to cook dinner, grocery shop, clean our rooms, sweep the floor, be patient with one another, argue in a loving way, read the bible, pray, and on and on and on the list goes. Yes… there are tons of things we are taught every day and we don’t even realize it! You might be curious how I know this is true. “God is Great, God is Good; Let us thank Him for our food. By His hands we all are fed, Give us Lord our Daily Bread. I never prayed the part about the animals and birds – where did they learn that? To my surprise their grandma taught them that part of the prayer! They learned to pray for and care about the animals through the time they spent with their grandma. She loves animals so much that she has witnessed to her grandchildren that it is important to care for and protect God’s critters. They learned that from her not me – I am totally afraid of critters! Over time they have learned that God loves the earth and all God’s creatures (especially the animals) by the witness of care for animals through their grandma’s prayer, her work at the animal shelter and her fostering of cats. I am curious what else my children have learned about God through other people. And I am seriously curious about all the new things they will teach me about God’s love and care!!! 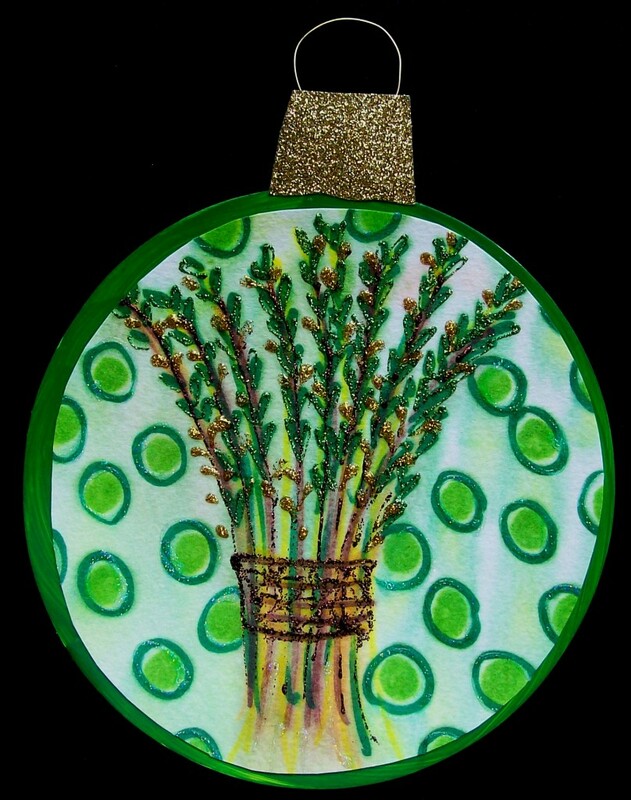 This entry was posted in Uncategorized and tagged Advent, Jesse Tree, Prayer by revbeth. Bookmark the permalink.